You got yourself a gecko, a crested gecko in particular. Adorable little creatures, don’t you think? At one time, crested geckos were considered to be one of the rarest lizards in captivity. Nowadays, they are bred in large numbers and became a standard pet for lizard-lovers like yourself. Ideal pet for beginners, a crested gecko is relatively small, simple and easy to care for, their adorable eyes and color patterns make them really famous as pets. However, when taking home a crested gecko also comes with responsibilities— simple and easy responsibilities, but nevertheless still a responsibility. Fail to neglect such responsibilities and care can result in your crested gecko getting sick or worse die. Aside from choosing the right, naturalistic vivariums, the second most important thing you need to look at is the substrate. 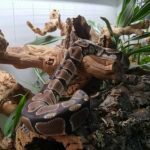 Substrates or the flooring that you choose for your crested gecko’s cage and the items that you place in it needs some careful considerations in order to keep your reptile in good health. The Zoo Med Repti Bark is an all natural crested gecko substrate made from fir tree barks. It is highly hygroscopic which means that it can absorb moisture and releases it, thus creating humidity— making it perfect for humidity loving lizards like the crested geckos. Moreover, it conducts and helps distribute even heat through the vivariums. It also adds an environmental stimulus which allows your crested gecko for natural burrowing and digging activity. 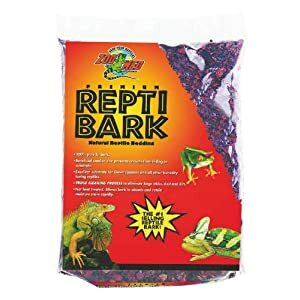 The Repti Bark is also absorbent and pulls away icky waste from your crested gecko for a healthier and happier lizard. 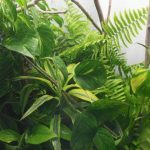 It is decorative and provides your crested gecko vivarium with a natural tropical rainforest look. Lastly, it is super easy to maintain and re-usable. You only need to soak it in hot water every 2-3 months in order to have a fresh and clean bark. As I have mentioned earlier, Sphagnum Moss is one of the best substrates for a crested gecko. The good news is: there are commercially available Sphagnum Mosses. Zoo Med Laboratories offers New Zealand Sphagnum Moss for crested geckos’ terrariums. The New Zealand Sphagnum Moss is the most preferred type of moss for terrariums because of its amazing moisture-holding ability and its unique softness. This lush carpet-like moss can hold more water and moisture up to 20 times its dry weight and stays moist than any other kind of moss. It is incredibly long lasting with natural compounds which prevent it from naturally decomposing in humid environments. Also, it is re-usable several times and only needs to be washed before you can use it again. This product is naturally made from the husks of coconuts that naturally absorbs and breaks down waste products and odors inside your crested gecko’s vivariums. The Eco Earth Coconut Fiber is best used on top of the HydroBalls (also from zoo Meds) in order to create the perfect layer of drainage for humidity, optimum plant growth and drainage in your gecko’s terrarium. The HydroBalls from Zoo Med that I have mentioned before can be used as a base layer underneath the Eco Earth Loose Coconut Fiber Substrate or any other substrate in order to create an underground water table for Naturalistic Terrariums. Incorporate Zoo Med HydroBalls in order to further increase the humidity levels inside your crested gecko’s vivarium and for landscaping live plants and keeping them in place. 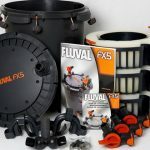 The HydroBall is designed with a pump in order to create a waterfall, and help generate a water flow optimum filtration making it an excellent substrate to accommodate real-life plant growth. Amateur pet owners with their finicky reptiles will surely love this Terrarium Liner. It is a low maintenance bedding that can be simply rolled down with brown or plush green color and can be cut to size as needed. Crested geckos can thrive in this non-abrasive and absorbent material that will not irritate their feet. 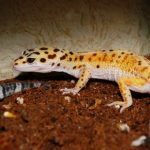 It is safe since it cannot be ingested like any other substrate and is a good alternative, particularly for juvenile crested geckos. Best of all, this substrate liner is treated with biodegradable enzymes which helps reduce odors and makes it easier for cleaning with just a rinse of cold rap water and can be reused as needed. The Exo Terra Plantation Soil Substrate is made from compressed coconut husk fibers from the plants of tropical Asia. This substrate is ecological and is ideal for increasing the humidity in your crested gecko’s terrarium. 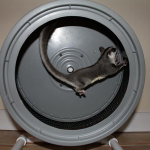 It stimulates burrowing and digging behavior so it perfect for reptiles, amphibians, and invertebrates. Also, it can be used as nutritional planting soil for live plants to include in your crested gecko’s terrarium. The reptile carpet from Carolina Custom Cages does not only looks good in your crested gecko’s vivariums, but it also avoids the risk of impaction from ingesting shavings, bark, wood chips, walnut shells, sand and other particulate substrates. The reptile carpet gives you different color choices: ruby, bright lilac, candy pink, walnut, sandstones, goldenrod, brilliant blue, copper canyon, cadet blue, cashmere tan, Kelly green, and olive. This carpet is machine washable which makes it easier to clean than sand and other substrates. It also feels like felt, however, this reptile carpet is much more durable than felt which can withstand scratches from your crested gecko. 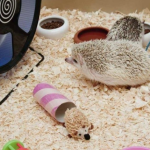 The Eco Erath Pet Bed from Zoo Med is a compressed coconut fiber which can be an expandable substrate which can make 7-8 liters of the substrate and can be safely recycled or composted. This substrate is perfect for all kinds of amphibians, reptiles, and invertebrates. It’s made from an eco-friendly renewable source and naturally breaks down and absorbs waste products and odors inside your crested gecko’s terrariums. It can be used for tropical species or mixed with an organic fertilizer for the perfect Vivaria soil. 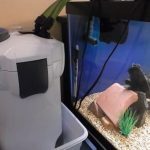 In order to decompress, you only need to place it in a bucket or sink with about 4 quarts of water and allow the brick to expand for 20-30 minutes. Shake the excess moisture and add it to your crested gecko’s enclosure. The rainforest substrate by Exo Terra is made from sustainable sphagnum moss and maritime pine which is an ideal decorative substrate in order to create a natural terrarium set-up for humidity loving lizards such as crested geckos, amphibians, and other vertebrates. This substrate controls air humidity levels naturally by absorbing and releasing moisture slowly. This hygroscopic property is maximized with the addition of sphagnum moss to the product. The unique shape and size of the bark particles together with the natural sphagnum moss allows the frequent irrigation of plants and provides a healthy root growth for terrarium live plants. It also has the ability to absorb and break down odors and is heat treated for optimum terrarium temperature. The Exo Terra Coco Husk Substrate is a hundred percent natural substrate for tropical terrariums. It is made from coconut husk that is compressed that comes from the tropical Asia plantations. This substrate helps in increasing humidity inside the enclosure by absorbing and slowly releasing moisture, making it perfect for crested geckos that enjoy a humid environment. Also, this substrate stimulates natural burrowing and digging behavior and is super safe for reptiles and amphibians. 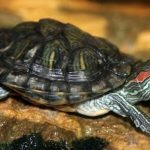 There is no single substrate that is right for all reptiles. What might be right for one might be harmful to another. This is why you need to make an intensive research on what substrates you can use and what can cause health problems to your crested gecko. Choosing the right substrate does not only enhance the look of your crested gecko’s cage, but most importantly, it should keep urates, feces, food, and spilled water away from your pet. In order to ensure a clean environment for your crested gecko, we recommend that you take a look at commercially available substrates. 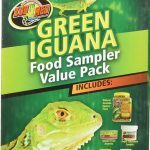 These do not only allow you to achieve the look of the age that you desire, but it also provides top health conditions that your crested gecko needs. 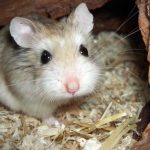 EASY TO CLEAN: You need to choose a substrate that is relatively easy to clean, otherwise, you will likely unable to keep up with the health needs of your pet. MAINTAIN HUMIDITY: Natural dwellers from the humid rainforest of New Caledonia, crested gecko needs a substrate that can hold moisture and at the same time a natural flooring which they would experience in the wild. Some of the best substrates for crested geckos that can help retain moisture are Spider Substrate, Sphagnum Moss, Coco Fibre Brick and Orchid Bark. READILY AVAILABLE: The amount of substrate that you need depends on the size of your crested gecko and the cage. NON – ABRASIVE: A good substrate for crested gecko will never contain anything that can be abrasive to your gecko or scratch its skin. I already introduced to you the best substrate for crested geckos in the market. 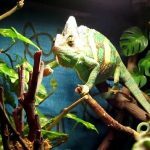 Now, let me show you some of the contenders for the WORST crested gecko substrate, particularly some DIY substrates, which can cost you your gecko’s life. Cedar shavings are usually used for animal bedding since it absorbs moisture, soft, repel fleas and control odors. 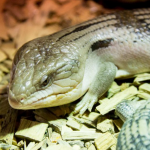 This wood product, however, brings potential health risks to your reptiles. The processing and cutting of these woods can cause dermatitis, rhinitis, asthma, and irritation. The scent of cedar smells pleasant for the human nose; however, this is the result of volatile oils which can cause damage to the respiratory system on the skin. Fine grade cypress mulch and orchid bark may be fine for some species; however, you need to avoid hard bark which is small enough to be swallowed. Crested geckos will not be able to break it down and can stick in the gut which would require surgery to be removed. So, avoid housing your crested gecko with bark chips since they might likely ingest substrates as part of their food-finding routine. Inexpensive, attractive, sustainable, absorbent and low dust. Ground walnut shells might be the good bedding choice, however, it becomes really problematic in terms of lizard pet. During the milling process, particles are left sharp and jagged. Just pinch a grain with your fingers, apply pressure, and you can feel some pain. With lizards like crested geckos, their delicate eyes might be at risk since these ground shells can scratch corneas and irritate the eyes. Moreover, they pack a painful punch internally. Walnut shells do not only cause impactions when swallowed, but these tiny pieces of the shell can lacerate your crested gecko’s stomach. Crested Geckos— these unique looking geckos are very easy to care for and does not need high maintenance in order to make them happy. They only need a humid environment to enjoy their life since they naturally live in tropical rainforests. Other than that, feeding and cleaning after your crested gecko is all a breeze.